Fliss is desperate for a pet in The Sleepover Club at Rosie's, and volunteers to look after the school hamster for the weekend. Oh-oh... Kenny's... read more horrible sister is out to make trouble in The Sleepover Club at Kenny's - have the Sleepover Club met their match? And in Starring the Sleepover Club, it's all fun and games with Fliss's mum's camcorder. 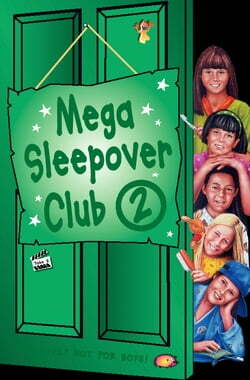 Will the Sleepover Club discover screen stardom, or will their film be a flop?